Previously I wrote about Jazz Apps. Since then, I discovered the abundance of helpful and informative jazz podcasts. 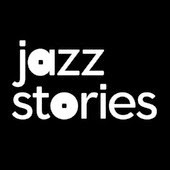 JazzStories is a podcast series from Jazz at Lincoln Center. Most podcasts are ten to twenty minutes, which is good time frame in order to listen in between classes. The podcasts combine music, short interviews, question and answer segments, and historical information. My favorite jazz story has been the Wynton Marsalis one, where he recounts that he liked jazz because he never saw people hug, but he saw jazz musicians hug - a sentiment I admired. A Noise From The Deep is a podcast series by trumpeter Dave Douglas and bassist Michael Bates. These podcasts ranger from half and hour to an hour, and go in depth with the jazz musician they are interviewing. My favorite podcast from this series is the John Zorn one. John Zorn is known to not do interviews and to avoid media attention, so it is incredibly interesting to hear an interview with him. He talks about times where he would practice over ten hours a day, to the obsessive point where he would still be practicing while he was in the bathroom! Music Magic is a podcast series in which jazz legend Chick Corea converses with his musical collaborators and friends. Each podcast is between twenty and forty five minutes. The podcasts are filled with Corea's music and insights. They are a behind the scenes look into Corea's creative process. There do not seem to be new ones coming out, but I enjoyed listening to the "The Making of the Vigil" podcast from March. I enjoyed seeing the Vigil perform at the 2013 Newport Jazz Festival. JazzCorner.com presents "InnerViews" with many prominent jazz artists. The podcasts have a strong blend of the artist's music as well as talking. Each podcast ranges in time from around ten minutes to forty five minutes. My favorite podcast from this series was the Rudresh Manhanthappa one. Rudresh talks about his personal identity as an Indian jazz musician, and how he decided he could be a jazz musician through incorporating his culture with jazz music. I talked about this program in my "Jazz Apps" blog, but I just wanted to emphasize how great this program is. Jazz Profiles is a radio documentary series that showcases the legends and legacy of jazz. There is a perfect blend of music, interviews, and history on the artists featured. I have so many favorites from this podcast series, but a few highlights are the Dave Brubeck podcast, the Bill Evans podcast, and the Stanley Turrentine podcast - but I really love them all! Even when you do not have much time, there are easily accessible jazz podcasts to listen to in order to learn something new each day about this music. As always, please check out my jazz poetry blog, Without a Poem, where I improvise a new poem every day.